Was Norwegian Breakaway Stuck In Hudson River Due To A Whale? Cruise News Norwegian Cruise Line Was Norwegian Breakaway Stuck In Hudson River Due To A Whale? 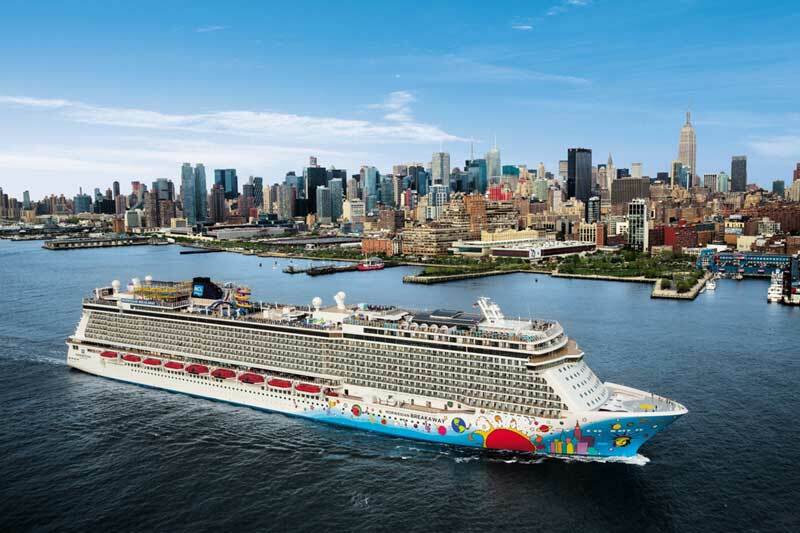 As Cruise Hive previously reported the Norwegian Breakaway was stuck in the Hudson River in New York on Sunday morning (4th May 2014). The ship was delayed getting back to Pier 88 and had to be helped by a tug boat to dock. The large cruise ship apparently had an issue with it;s propulsion and steering system along with high winds which were at the time causing ship mayhem not just to Norwegian Breakaway but other vessels too. Well now its being reported that a large Whale could have been the cause to Norwegian Breakaway being stuck in the river for 4 hours! A 30-foot 45-year-old dead whale was sadly found a day later in New York harbor near pier 4. The Whale had bad injuries which a large-scale ship could have done. NOAA are currently investigation after there had also been reports of a whale seen on the ship’s bow Sunday morning. NOAA have also said that it is not clear if the Whale was already dead before hitting the Norwegian Breakaway. There seems to be some conflicting reasons why the ship was stuck! Was is due to the high winds, an issue with the propulsion and steering or a Whale? What do you think? Let us know in the comments below.